Our long waited concert day has arrived! We collected our tickets and meal coupons the night before at the hostel. Thank god we decided not to stay at the hostel. When we arrived there the night before around 8pm, the school hostel is located way inside a dark alley, the building quite rundown. I couldn’t imagine how the rooms and the shared toilets going to look like. Tickets were issued based on ballot system, we were assigned to 3rd row from the stage if I’m remembered correctly. 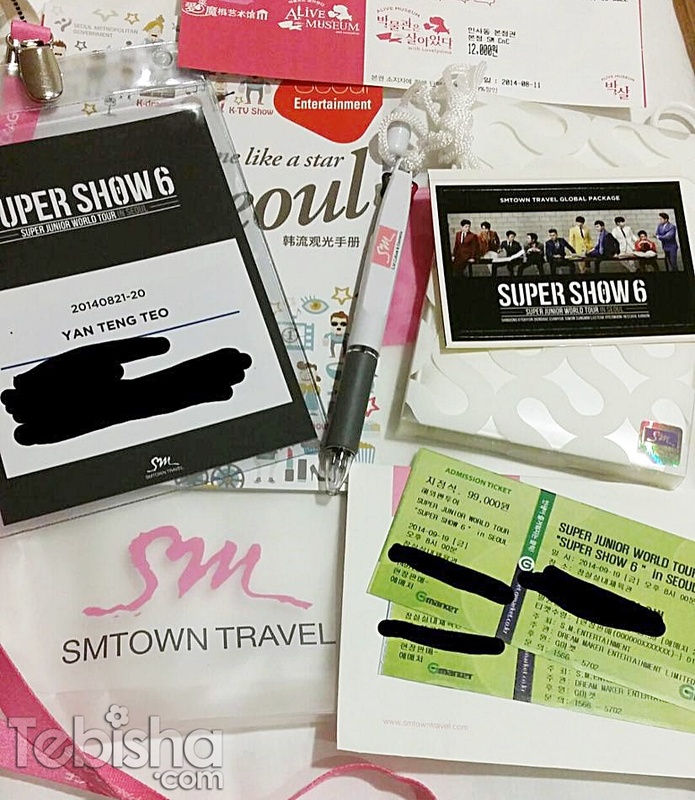 This was our SMTown Travel Kit! 19 Sept – 1st Concert Day, we started off early in the morning. Everyone got to gather the the hostel lobby at 8am. 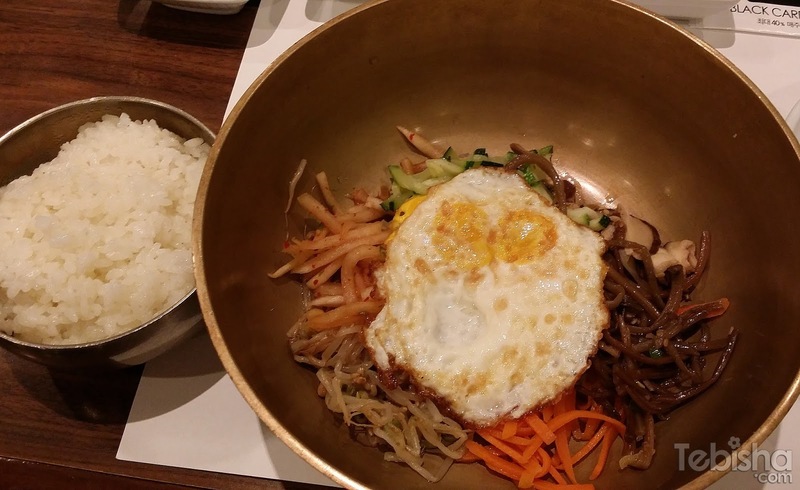 I took a train down from Myeongdong to the hostel and meet up the rest of the group. 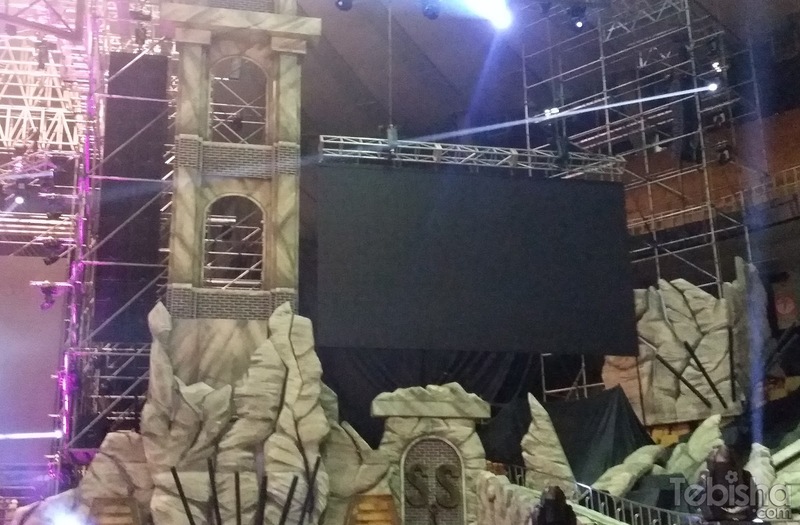 Sneak Peek of the concert stage! 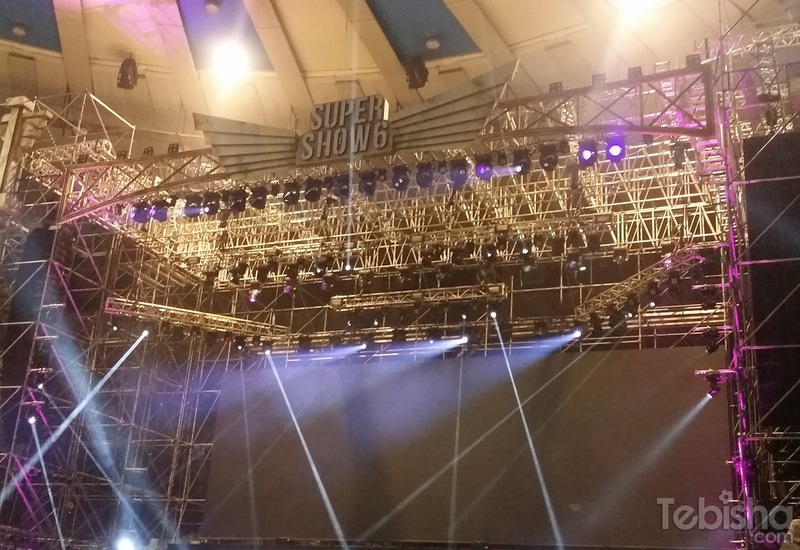 We took a group photo on the stage and photo will be given to us at the end of the day. 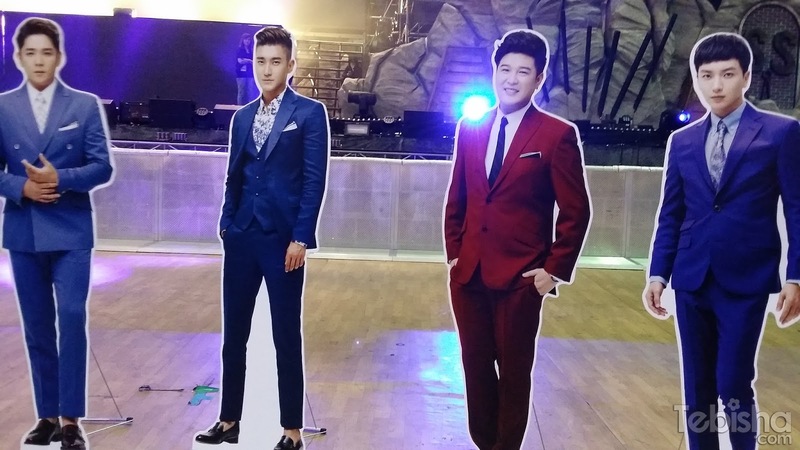 No real Super Junior? 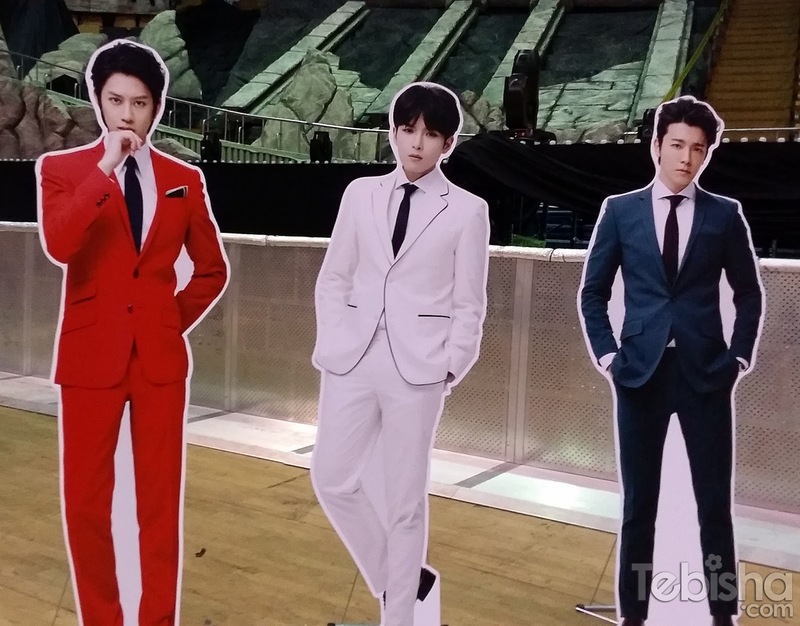 They have standees for us! We can take as many photos as we can with “them”. 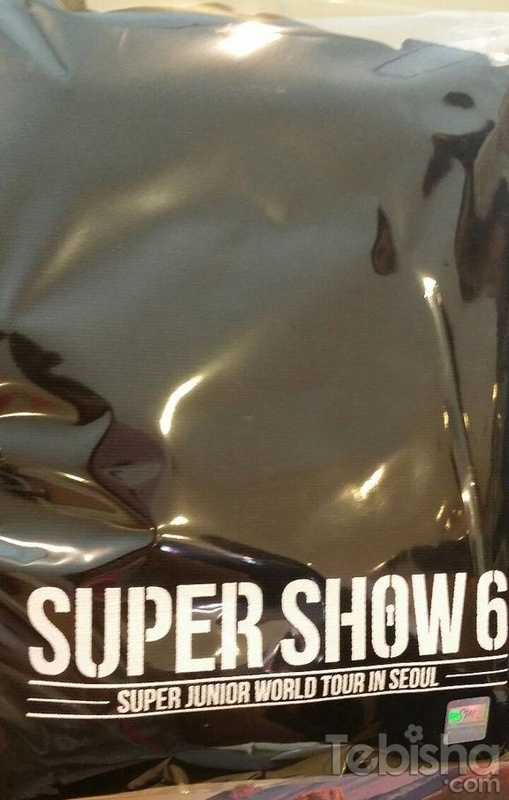 The SS6 tote bag we received! Only package holder entitled for it! 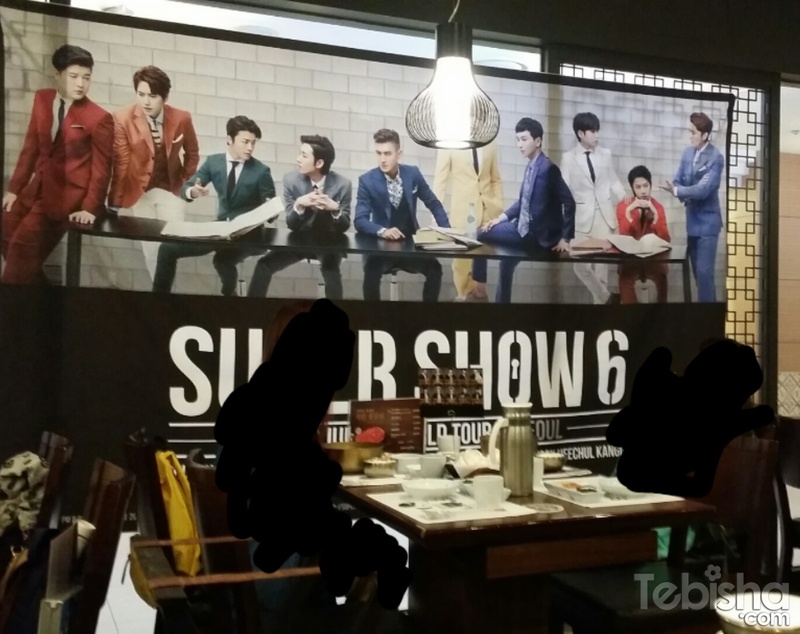 We had our lunch at a Korean Restaurant, they even decorated the place with SS6 promotion posters. After lunch, we had a few hours of free time, my sister and I head down to coax mall for some albums shopping. We gathered back at the lotte duty free mall for the coach bus to bring us to the concert venue for collection of official merchandises and wait for SS6 to kick off! 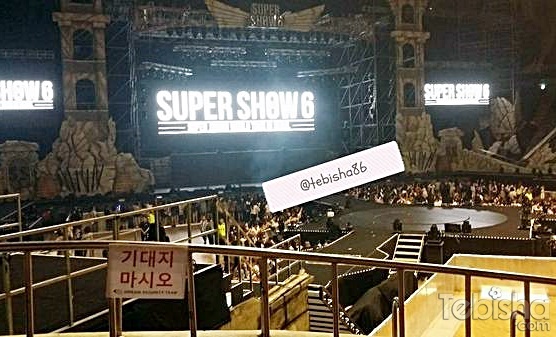 And its time for Super Show 6! 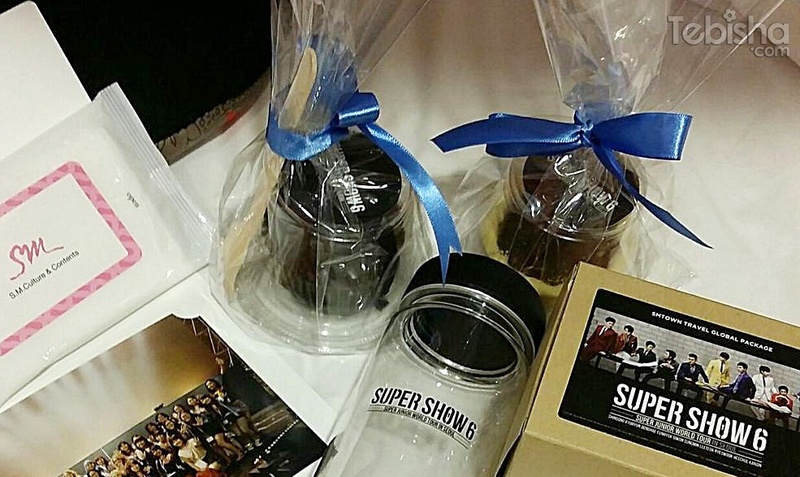 At the end of the concert, we were given some tarts for supper, SS6 water bottle (exclusive for package holders only), wet tissue and our group photos! 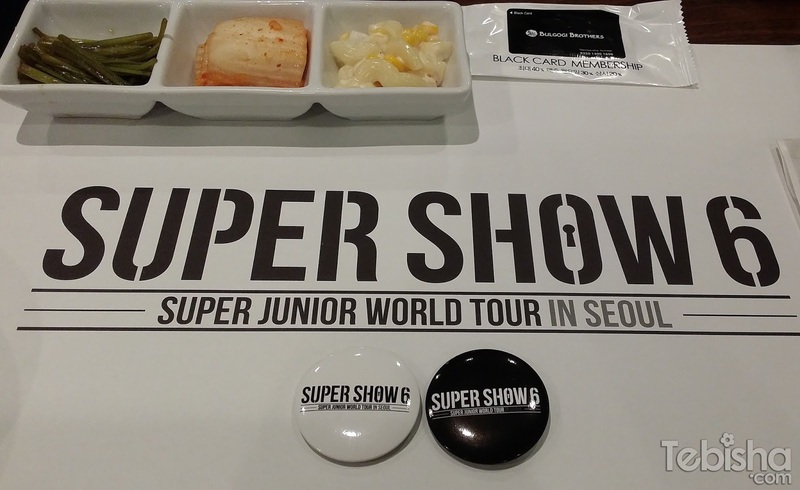 Awesome night and thanks to the tour guide and SMTown staff for the hospitality. 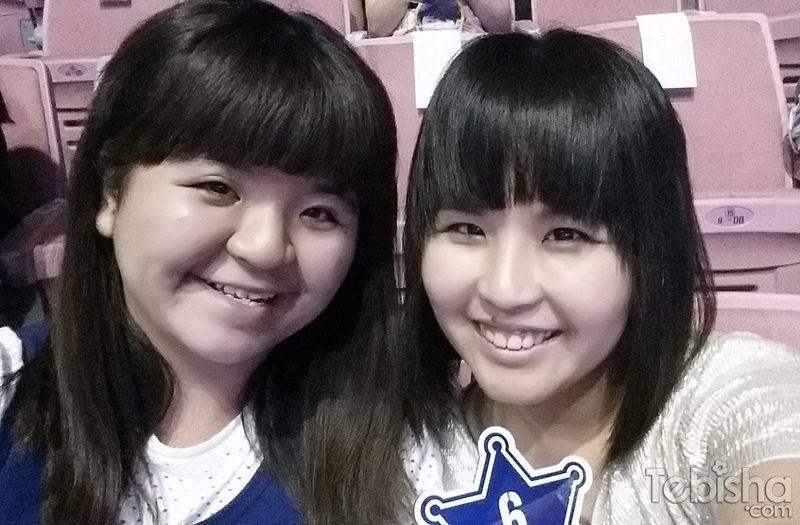 Continue our SS6 Day 2 the next day!